Xiaomi has had a busy start to their year. They released a new model in their Redmi series and a variety of other gadgets, such as the budget gamepad and the Xiaomi Headphones. 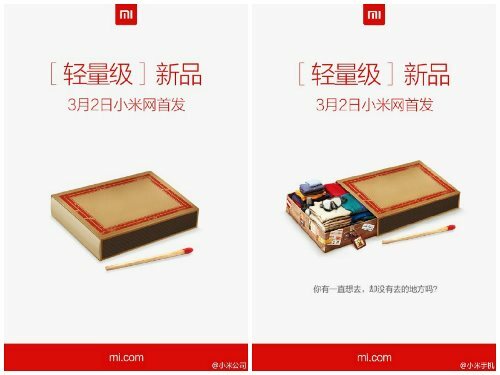 This time, their MWC teaser indicates a matchbox-sized waterproof gadget, which reports are speculating could be an action camera. Their earlier release of various gadgets show just how flexible Xiaomi can get. Therefore, it is not hard to believe if maybe they have also decided to enter the action camera scene. Whatever the gadget is, it is something to keep an eye out for. LG is stepping up their wearable game with a 4G LTE capable smartwatch. The watch will feature a Qualcomm Snapdragon 400 chipset clocked at 1.2GHz. 1GB of RAM storage is on board as well as 4GB of internal storage. 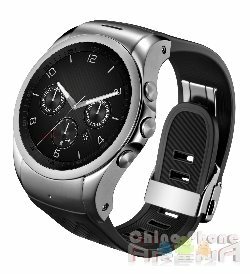 The face will be circular with a diameter of 1.3 inches and a display resolution of 320 x 320p. The watch will be powered by a 700mAH battery. Other features include a heart rate monitor, GPS, microphone and speaker, Bluetooth 4.0 and NFC support. The Urbane also boasts of an IP67 certification for dust and waterproofing. The LG Watch Urbane LTE will have a whole new OS, developed by LG themselves. Given that the watch will not be running Android Wear OS, it is unsure how compatible the Urbane LTE will be with other Android devices. Unlike the definitive key specs of the LG Urbane, the teased Acer wearable is still a complete black box. Acer Malaysia’s Facebook page simply indicates such a device to appear at the MWC event. Acer won’t stop at their wearable, though. Their invitation poster shows random portions of what seem to be distinct devices, but nothing more than that. Not to worry, though, it should only be a short wait as the MWC is right around the corner, and all these blanks will easily be filled.